My name is Chance Zolman. I am three years old but I will soon be four. I like to play with Fisher Price little people and my stuffed monkey. I like to jump, play on my iPad, and watch Disney movies and cartoons. Just before I was two years old, I was diagnosed with Autism. My older sister has autism too. Because she was diagnosed with Autism, my parents decided that I should be tested too. I have been attending New Horizons Academy at Sara’s Garden in Wauseon, Ohio this year and I am making big changes. My sister and brother also attend New Horizons Academy. I talk more than I did before going to school and I now have friends. I recently started riding the bus to school and I like to play with the toy school bus in my classroom. In the classroom, I like to play with the sensory boxes. I enjoy participating in calendar time, smartboard time, and story time. I love going to the library and going out to the playground with my friends. I also have mastered drinking from a cup without a straw! Because I have made great improvement at New Horizons Academy, my parents would like to send me to Sara’s Garden for services during the summer. The summer programs at Sara’s Garden are unique and are designed to keep the regression of skills at bay over the summer months when I am not in school. Sara’s Garden offers a month-long summer camp program. This program is group based and provides education, fun, intervention, and socialization in a safe, accepting and understanding environment. The cost for this year’s camp is $2100. Sara’s Garden also offers Hyperbaric Oxygen Therapy (HBOT). 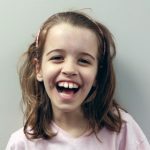 Unfortunately, in the United States insurance will often not reimburse for HBOT treatment of Autism, even though there is an acknowledgment that it may be therapeutic. That is why my family and I could really use your help. HBOT is only $100.00 per treatment hour (as opposed to $1,500-2,500 per treatment at a hospital.) However, since the plan is for me to receive at least 40 HBOT treatments and attend the summer camp, that cost adds up quickly. 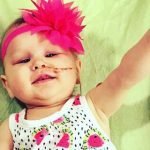 If you could assist my family with the cost (or even just part of the cost) of a single $100 HBOT treatment or part of the cost of summer camp, it would help reduce my family’s overall expenses greatly. 100% of the funds received go into an account in my name and will be used for my treatments and services. Any contribution made would be considered a tax-deductible donation as Sara’s Garden is a 501(c)(3) non-profit facility. Checks can be made out to Sara’s Garden with Chance Zolman written on a sheet of paper accompanying the check. Please do NOT write my name directly on the check. You can also donate online via credit card by clicking on the “Donate Now” button below. Thank you for considering to help me with supporting my services and treatments.